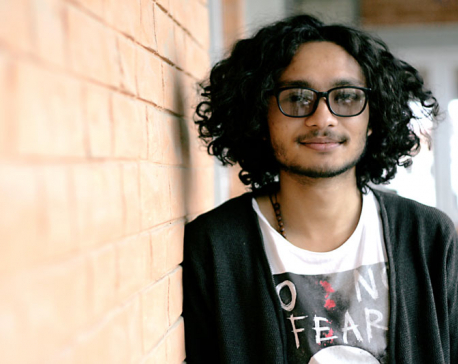 Prasanna Adhikari never knew how to do just one thing. 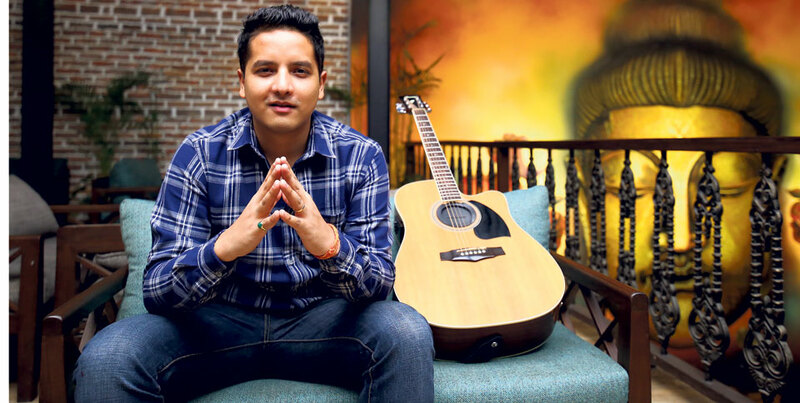 His father, Pratap Adhikari, both a sportsman and a musician, raised him up to be just like him. Prasanna grew up learning to play badminton (just like his father) and loving music (just like his father again). “My earliest memory is of my father playing harmonium in the early hours of the morning and doing riyaz. I’d tease him when he was in his music zone. But I can’t deny the impact music had in my childhood,” he says. Born to a family of artists, actors, and musicians, Prasanna grew up with music all around. In seventh grade, his father got him a guitar and he picked up a few chords from his cousins’ music books. This was the beginning of his musical journey. He’d play a few notes now and then and that was how he learnt to play the guitar. “I’ve never taken any classes, although my father did get me enrolled into one after my SLC exams. But I never attended a single class. I guess music meant more to me when given the freedom to learn and discover on my own rather than sit in a class and be dictated,” he explains. However, growing up, Prasanna played badminton more than he played musical instruments. He completed his trainings and played in the nationals but eventually dropped the sport for the sake of his studies. But music always stuck around. In high school, he played the guitar and occasionally the drums in a local ‘deusi bhailo’ band and that was how he started playing before the crowds. During his undergraduate studies, he formed a three member band ‘Inflection’ for a night’ performance. It was also in these phases that he tried his hands at Djing. Even when he was enrolled in a postgraduate program, he attended classes and upon finishing them picked up his guitar and played it with a few of his friends until the early hours of dawn. That was the routine everyday. He woke up to music, attended classes and sang and played his guitar for the rest of the day. “That was practice for me really. But I played not because I was determined to be better or improve as a musician. I played all the time because I enjoyed it. I had no other motives,” he clarifies. He also adds that pursuing music as a profession never occurred to him, nor did producing original content. He only played because he loved doing so. Even performing for crowds made him jittery. But he performed at an event in 2014 and bagged the second prize and it was then that he seriously mulled over the idea of putting up real performances. Today, Prasanna is one of the more recognized musicians in the late night music scene. Initially, he shifted from one music night to another in the areas of Jhamsikhel, Lazimpat, and New Baneshwor, seven days a week. Gradually he brought it down to five nights and today he performs three nights a week. A frequent performer at Trisara, Prasanna explains how the audiences and listeners aren’t just attentive but also appreciative. This has helped him overcome all hesitations and nervousness when performing. 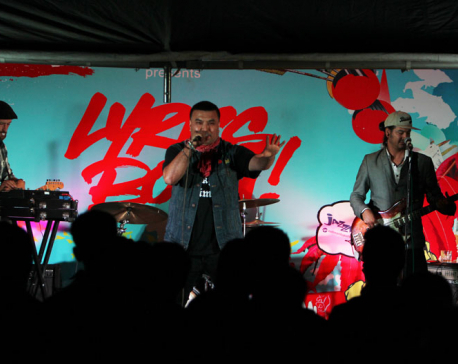 “As an industry, Nepali music is at an all time high. People aren’t just taking this development in stride but also actively seeking and encouraging it. We have fantastic musicians coming in and the crowd is very appreciative. This is a very good time to be a musician here,” claims Prasanna. During his performances he interacts with the crowd and plays the songs they demand. While performing, sometimes, random people come to the front seats and cry their hearts out. “Perhaps something about my music connects with them. To be able to inspire such emotions, I must be doing something right. There’s no place I’d rather be,” he adds. The talented musician is also planning to release original music. While he admits that he isn’t the best lyricist, he believes his strengths lie in composing. He elaborates, “I have a college junior, Drona Gyawali. I mention it everywhere I go but Drona is a born writer. His word plays and ideas are otherworldly. I actually made a song with him titled “Timro Maya”. Drona wrote the lyrics while I did the composing. It was minute’s clip but it went viral in Bangalore. It was on everyone’s phones then.” Prasanna wants his original works to be collaborative projects and not one bulk of solo work. This way he believes cohesive music can be produced. As a child Prasanna juggled sports and music. As an adult, he does the balancing act with work and music. But music is what gives him comfort and takes the stress of work away so he doesn’t mind the hours of practice and composing that he has to do for it. “I enjoy it and I hope to be able to make more good music in the future,” he concludes.